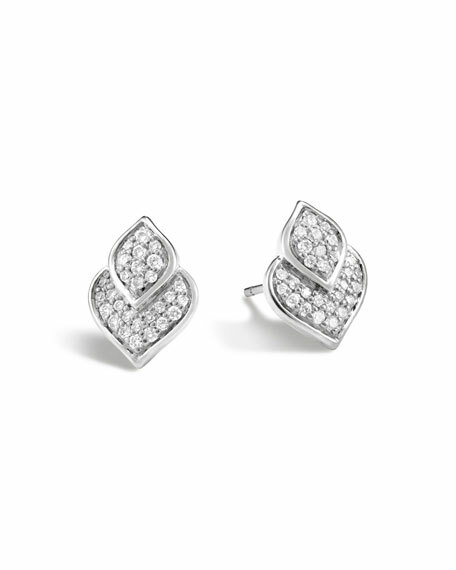 White diamond pavé studs with scaly motif. 18-karat gold plating over sterling silver with rhodium finish earrings from Fantasia by DeSerio. Oval-cut white cubic zirconia. Emerald-cut canary cubic zirconia. 26.0 total carat weight. Omega post backs for pierced ears. Approx. 3/4"L (20mm) overall. Made in USA.